Sure, summer's practically made for kicking back and relaxing, but it’s definitely not a time to slack on your skin-care routine. While the skin’s needs are certainly different as the seasons change, it’s still important to use products that'll help you protect it from the sun and prevent problems that can occur from the heat. Here, I’ll breakdown some of the key products you need this summer — plus, how to use them correctly so you can keep your skin fresh and glowing all season long. With the increase in heat and humidity, some may think they can skip using moisturizer, but it’s important to continue using one daily. If your skin is getting oilier with the warmer temps, consider switching to a lighter formula like an oil-free lotion. 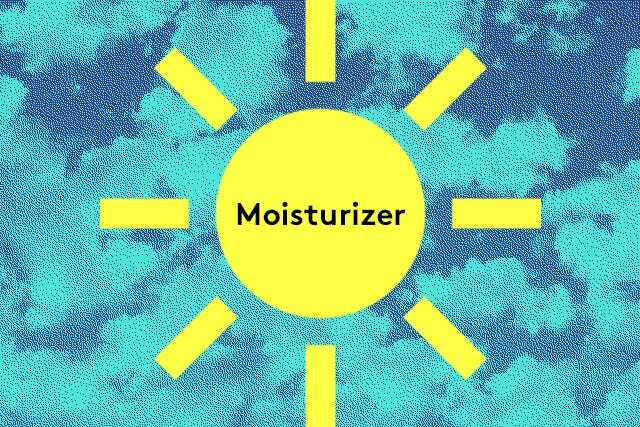 But, be sure your day lotion has SPF if you're not already layering it under your moisturizer. For those with oily or acne-prone skin, look for products containing zinc oxide, which won’t clog pores. Exfoliation is key for removing surface dry or dead skin cells, But, during the summer months, it should be done less often than in the winter. Over-exfoliation is never beneficial to the skin because it can break down the skin barrier. But, it’s especially crucial to avoid it when spending more time in the sun as it can increase sun-sensitivity, which can lead to inflammation and dryness. Exfoliate no more than twice a week with a gentle facial scrub during the summer. Use an acid serum — whether it be with glycolic, salicylic or lactic acids — only three times a week. Also, make sure to discontinue using an acid exfoliator a few days before going to the beach, lake, or pool to prevent heat and sun irritation. As always, be sure you're using SPF! Depending on your skin type, summer is the time of year when it’s important to absorb excess oil, deliver hydration, or calm heat-induced redness. Masks are a great way to give your skin extra attention. Like an at-home facial, a mask can give skin an added boost that a normal cleanser-toner-moisturizer regimen simply can’t. Clay masks are beneficial for oil absorption and pore-clearing, cream masks give parched skin the moisture it needs, and gel masks can temporarily lower the skin’s temperature to reduce redness and sensitivity. For an extra cooling treat, put your gel mask in the refrigerator 30 minutes prior to using on sweltering, hot days. Pesky brown spots tend to increase or become darker in the summer. The heat and sun both cause the skin to produce more melanin, which causes this discoloration to appear or become more pronounced. In the warmer months, when we tend to overheat and spend more time in the sun, it’s important to keep skin cool and shielded from UV rays as much as possible. If you're particularly sensitive when outside, a wide-brimmed hat is a great addition to your usual SPF. It’s also a great time to add a serum formulated with skin-lightening ingredients like Magnesium Ascorbyl Phosphate, a form of vitamin C, into your routine. This stable form of vitamin C is a proven suppressor of pigment cells and, when used under SPF moisturizer, it can provide even more added sun protection. Illustrated by Ammiel Mendoza.Illustrated by Ammiel Mendoza. Hopefully, you're already applying a daily moisturizer with SPF (and if you aren’t, you must begin NOW), but it’s even more important in the summer with all the time spent in direct sunlight. Look for chemical-free formulas with zinc oxide, which are ideal for all skin types as they don't cause breakouts and tend to feel lightweight on the skin. Swiping on a mineral powder with SPF also helps control shine and gives an extra layer of protection. I always keep an SPF-infused powder in my handbag for added protection on the face, neck, chest, and hands while on-the-go. Keeping all these things in mind will make your summer skin-care routine a breeze. In addition to a summer glow, your skin will certainly thank you come fall.